Yesterday, The Underground Multiplex reported on a damning post left on Facebook by film director Felix Piñeiro accusing an important person connected with a Chicago film festival of sexual harassment. The violations could have happened to as many as 20 different women. Based on the detailed information given by Piñeiro about the festival, it was easy to determine that the fest in question is The Midwest Independent Film Festival. After the post was published yesterday, our stats of viewership here boosted over tenfold, which tells me that many people out there are interested. A few people had wondered about the veracity of my post. That’s a fair question. It’s why I followed up with a screenshot of the original post (Piñeiro’s original post was not set to “public” on FB, only to friends). You can find that pasted screenshot here. I also want to let you know that I do have media contact and there’s at least one person very interested in doing a follow-up. This could happened if anyone directly involved in the sexual harassment allegations cares to step forward regarding the information brought forward in the post. I’m also hearing that wheels are turning in regard to this explosive report. People in the local Chicago film industry are paying attention to this and I’m hopeful that progress will be made. As a peripheral part of the entertainment community, I know that these sort of reports spread like wildfire and that many here in Chicago do try to look out for each other. I imagine that if I were deeply involved in the community as an actor, performer or crew, the intensity of the discussion would deepen many times over. Keep in mind that this update has to remain relatively vague, due to legal issues. I will continue to keep you updated as much as I can with information that can be shared. In the meantime, if you want to help. SHARE the original post. If the allegations brought up are true, it’s up to us to help the victims feel safe enough to come forward and tell their stories. Mediatrocities is back! It’s been awhile due to moving to a new home for The Underground Multiplex (we’re now in the Bowmanville neighborhood), an accident that destroyed my laptop containing many of my media files, plus life in general for those in the arts who need several jobs just to survive. But, we’re still doing it. My commitment to promoting media normally unseen by too many who believe entertainment begins and ends at Netflix is unwavering. You can be certain to find more podcasts in the future with those folks contributing to Chicago unique media richness. 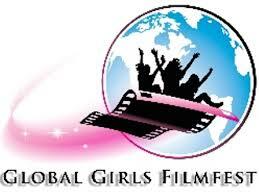 To that end, I present an interview with Devon Freitag, one of the curators of the Global Girls Film Festival, a festival of international short films chosen by formerly homeless teen residents from The Harbor in Park Ridge. The Harbour’s Global Girls Film Festival programs will showcase 13 diverse and empowering films from 10 countries. The New View program offers seven visually and emotionally rich films that have touched the residents who have selected them and will likewise inspire the audiences that view them. In the Hold Your Breath program, the young curators from The Harbour treat audiences to a compelling mosaic of experiences ranging from a girl exploring her sexual identity to a family fleeing from domestic abuse. Check out this unique film festival Friday at The New 400 in Rogers Park. The vibrant characters in these powerful and poignant short films may change your view of the world while facing some demons of their own. You’ll delight in Lila’s magical way of bringing joy to strangers, then take a touching look at a young girl living with Tourette’s Syndrome (Flying Anne) and celebrate the humanity of a brave teacher who protects a young Sikh boy from harm (Kush). New View features seven films from seven countries: Lila (Spain & Argentina), Drawing Angel (USA), Flying Anne (Netherlands), How to be Alone (Canada), Call her Lotte (Germany), Granddaughter (Argentina), Kush (India). Sometimes, every choice we make seems like a drama. This program of suspenseful and beautiful short films shares stories of heroism and challenges that resonate with women from all walks of life. You’ll discover a secret as two friends talk about a blind date (Happiness) and explore the fragile bond between a mother and a daughter who has self-harmed (Emily.) Then meet a maverick story-teller who goes AWOL from the High Council of Fairytales (The Maiden & The Princess) before cheering on a family finally escaping domestic abuse (Just Before Losing Everything). Hold your breath features six films from four countries: Cut Off (France), Happiness (USA), Emily (Australia), Guida (Brazil), The Maiden and the Princess (USA), Just Before Losing Everything (France). For more information, contact The Harbor at 847-297-8540.